Wear and tear. Over time, brushing too hard or using a hard-bristled toothbrush or grinding your teeth can wear down enamel and expose the dentin. Gum disease (gingivitis). Inflamed and sore gums pull back and expose the roots of your teeth. Damage. 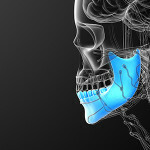 Chipped or broken teeth may fill with bacteria. The bacteria can enter the pulp, causing inflammation. Teeth grinding. Grinding or clenching your teeth may wear down the enamel and expose the dentin. Tooth-whitening products. These products may be major contributors to sensitive teeth. Age. 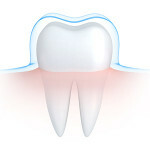 Teeth are most sensitive between ages 25 and 30. Plaque buildup. The presence of plaque on the root surfaces can cause sensitivity. Long-term mouthwash use. Some over-the-counter products contain acids that can make sensitivity worse if your dentin is already exposed. Ask your dentist about a neutral fluoride solution. Acidic foods. Food and drinks with a high acid content, like citrus fruits, tomatoes, pickles, and tea, can wear down enamel. Dental work. Teeth cleaning, root planing, crown placement, and tooth restoration can make teeth sensitive. This should go away in 4 to 6 weeks. Use a toothpaste for sensitive teeth. Several brands are available. Regular use should make teeth less sensitive. You may need to try several brands to find the product that works best for you. Another tip: Spread a thin layer on the exposed tooth roots with your finger or a Q-tip before you go to bed. Use a fluoridated toothpaste, not atartar control one. http://www.mcbiermann.com/wp-content/uploads/2015/08/sensitive-teeth.jpg 300 702 mbiermann http://www.mcbiermann.com/wp-content/uploads/2014/09/lgoo.png mbiermann2015-08-24 03:12:462015-08-24 03:12:46What Can You Do About Sensitive Teeth?